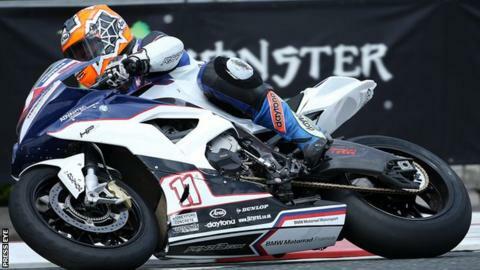 Northern Ireland motorcyclist Stephen Thompson is to provide former team-mate Michael Rutter with an R6 Yamaha for the North West 200 and Isle of Man TT. Thompson, 40, had an arm amputated two months after a crash on Mill Road at the 2015 North West meeting, and had a prosthetic arm fitted in March 2016. The Crumlin man was previously part of the Bathams Racing team with Rutter, who has won 13 North West 200 races. Thompson still harbours ambitions of making a return to racing himself. He also suffered a collapsed lung, bleeding on the brain and multiple fractures in his serious crash in 2015. The Thompson Plastering team also hope to run the 600cc Supersport machine at the Ulster Grand Prix in August, and also at the Manx Grand Prix and other selected races, with another rider yet to be confirmed.